As I researched words and phrases that incorporated the word ox, I settled on depicting a serene field of daisies, Leucanthemum Vulgare, or the Oxeye Daisy specifically. The scene presented before you, calm and gentle, compliments the nature of the ox, which are considered gentle giants, passive, obedient, steady and bright. Influenced by nature and the natural form, and being interested in environmental art and painting landscapes, I’ve chosen to use the blank white ox form as a canvas to paint something that is relevant and associated with the ox. 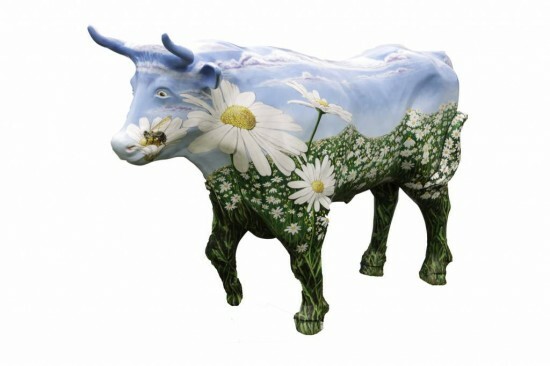 I use each facet of the ox as a separate canvas to depict a different scene and aspect of the Oxeye Daisy in nature.